Tom Bibiyan is currently only thirty three years of age, but has successfully consulted for over 100 publicly listed companies across the United States as well as Canada. His roster to date includes companies from the NASDAQ, AMEX(American Stock Exchange), and OTCBB(Over The Counter) exchanges. From United States Defense Contractors to International Gold Mining corporations, Mr. Bibiyan has effectively advised companies from a multitude of varying industries with grace and professionalism. 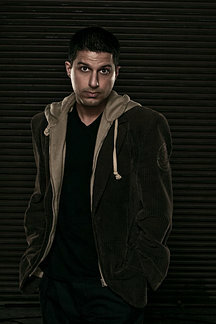 Also a staunch supporter of the arts and innovation, Thomas Bibiyan has recently produced unique content including short films, documentaries, and high quality webisodes. Having produced several projects by his mid-twenties, Tom Bibiyan is proud to have already collaborated on projects with A-List artists and actors such asSeth Green, Kim and Khloe Kardashian, Keri Hilson, and Danny Devito. Thomas Bibiyan has also worked closely with Sundance Film Festival Nominees and Finalists, along with Television Casting Directors and Producers from shows such as Fear Factor, Bridezillas, LA Ink, Two and a Half Men, and the Big Bang Theory. start up created in 1999 with the goal of becoming the premiere online destination for active traders to exchange ideas in real time. Since then, the site has blossomed, carving a large niche for itself in the industry specifically in the area of trader to trader communication. The site has always been a haven for active day traders looking to share and exchane ideas on potentially lucrative stock market decisions in a free, real time environment. pre- IPO and M & A work for small cap publicly traded companies. covers a wide variety of entertainment services, from full on production of film/music to nightlife concierge services and event planning(LA & NYC in particular).